With the November elections in the books and a new more conservative Congress to be sworn in, the “tea party” movement has two paths it can follow; one is to stand behind big spending Republicans to help defeat big spending Democrats and the other is to support fiscally conservative Republicans defeat big spending Republicans in primaries. The lesser of two evils approach has won in the past but the future is up for debate. In the November election the tea party faithful, myself included, worked tirelessly to defeat Democrats across the nation. We stuffed envelopes, went door to door, and installed signs for candidates who voted for spending projects the tea party is opposed to. But the choice in most cases was easy. I worked hard to retire Alan Grayson and stop the reckless spending in Washington, D.C. mortgaging our children’s future. And with the defeat of the Omnibus spending bill this week I can say our efforts were a success. But now with that goal achieved where do we go next? The answer depends on what you want to achieve. If your goal is to defeat Obama and end up with “only” a $1 trillion deficit each of the next ten years the tea party can help Republicans defeat Democrats. But if you want genuine fiscal conservatives who will balance the budget and really cut spending at all levels of government it will take an entirely new brand of politician, one born of the tea party movement. The two paths lead in different directions. To the right you will have primary battles that will produce the leaders who will save our nation from economic calamity. This road can be bumpy because for every Rand Paul and Michelle Bachman you might get a Christine O’Donnell. But the tea party movement was not intended to bring us to the reckless spending days of George Bush. The movement’s goal is to bring us to fiscal reality and it cannot be achieved if we keep electing progressive big spending Republicans like John Mica who wants to put our nation $1 trillion deeper into debt with a national high speed rail system. If I were running the tea party movement I would place a simple litmus test on candidates who seek our support. Candidates must pledge to approve no new taxes and pledge not to increase debt at any level of government. If they cannot make this simple pledge we find a candidate to run who will. I believe we need to find 100,000 candidates in the United States who will make this pledge, an entirely new generation of political leaders. But as a grass roots movement no one is in charge and the tea party movement means many different things to many different people. And to many they prefer their John Mica’s to an unknown result. 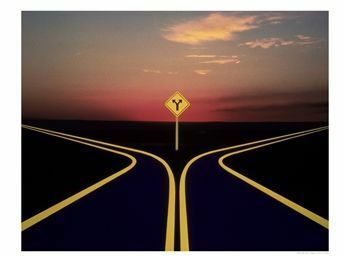 The fork in the road for the tea party will decide the future of our nation. Let’s hope we pick the right road.